I was having a tough time deciding which episode of California’s Gold to feature this week; so in the end I settled on one that has Huell visiting a few different — and surprising — locations. 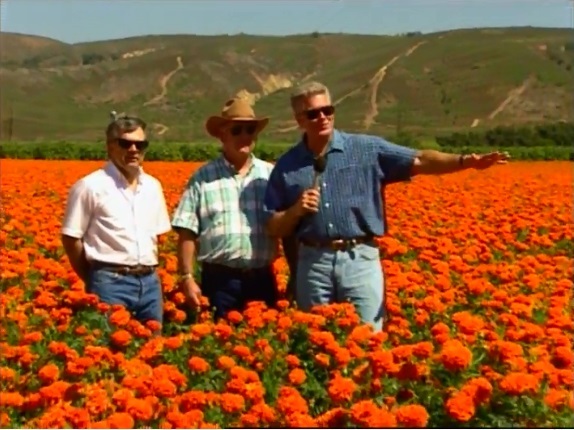 From cactus to marigolds, with a few ostriches thrown in, this is a fun and colorful episode! What do a brilliant field of marigolds, an ostrich farm, thousands of cacti and a two-story outhouse have in common? The answer is that they are all accidental discoveries made by producer/host Huell Howser as he traveled the state in search of California’s Gold.